Get noticed by recruiters and employers! 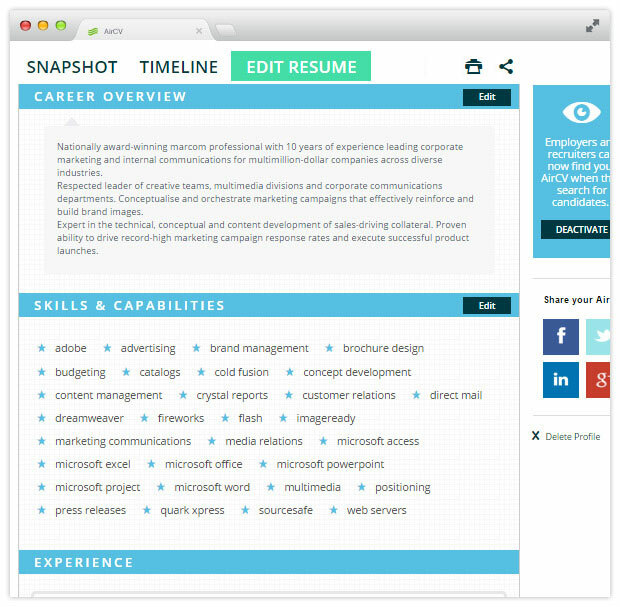 Employers and recruiters spend 6 seconds or less reviewing a resume! Stand out from the crowd be having your skills and experience quickly and easily read in seconds. Get your career in line! Let your experience, qualifications and achievements shine. 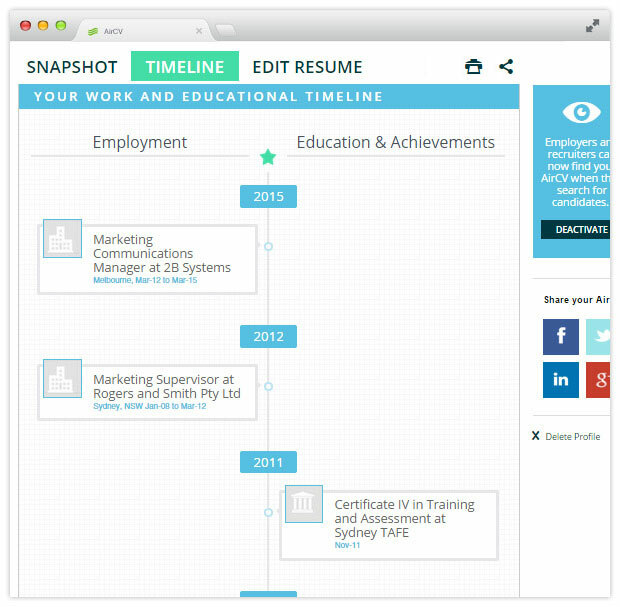 Make it easy for employers to know when events occurred in your career via your AirCV Career Timeline. An AirCV makes your skills and capabilities to stand out. 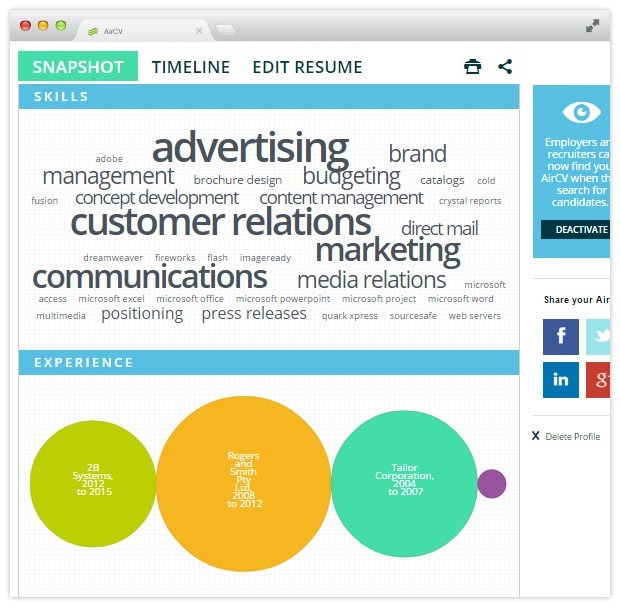 Employers and recruiters can learn more about you via your Career Timeline and Career Profile. 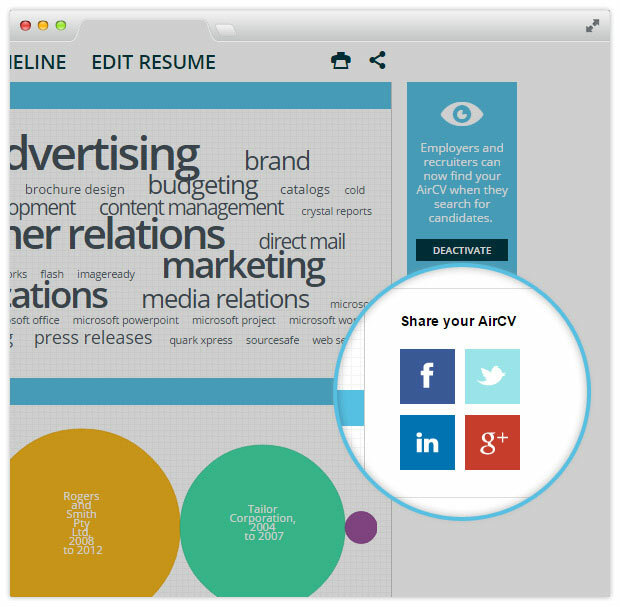 Use the AirCV builder to document your employment history or simply upload your existing resume. Apply for any job, anywhere in the world and on any device with your unique AirCV.me URL & share it via social media. AirCV is printable! Employers and recruiters can view your Career Snapshot, Career Timeline and cloud profile by scanning your unique QR code or by typing your AirCV.me URL in any web browser.